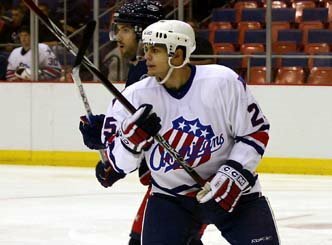 Our friend David Shantz was recently assigned to the Rochester Americans, the AHL affiliate that the Florida Panthers share with the Buffalo Sabres. 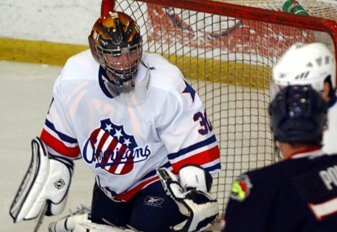 Last night Shantzy shone in net as the Amerks defeated the Syracuse Crunch for the second night in a row...in overtime. David stopped about 35 shots in a stellar effort. CONGRATULATIONS, dear friend! We're praying for you. The Buffalo Sabres sent another ex-Pete Patrick Kaleta (pictured)down to Rochester recently. Another former Pete, Mark Flood is with Syracuse. All the best...my friends! I'm praying for each of you! Good morning David...Just in between meetings now and I thought I would just say hi! It is too bad that you can't go to the Hockey Ministries staff conference today but at least they KNOW that you are praying for them and this means a whole lot! In fact it means EVERYTHING! So glad that they finally took away that IV tube!! You mean to say that you don't miss it...Ha!! One of these days you are going to HAVE to take a picture of a sunrise David!! That way when one of your 12 readers asks you for one, you will be able to deliver! !